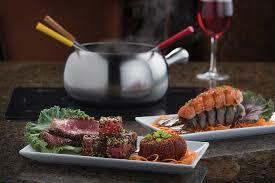 How would you rate your experience with The Melting Pot ? 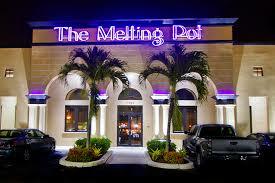 The Melting Pot restaurant was founded by brothers Robert, Mark, and Mike Johnston in Maitland, Florida, in 1975. Originally, the menu had only 3 items but it proved to be so popular that in 1979, the brothers allowed a franchise to open in Tallahassee, Florida. The interiors are done in black and dark red with dim lights for a more private type of experience. While fondue remains to be the restaurants’ major attraction, the company recently opted to include meats which are grilled right at the table. The company currently has 117 locations, including some in Mexico, with the most recent opening in El Paso, Texas, in September 2018. Company headquarters are located in Tampa, Florida. Question 1: What is the phone number for The Melting Pot? Answer 1: The phone number for The Melting Pot is (813) 881-0055. Question 2: Who is the CEO of The Melting Pot? Answer 2: The CEO of The Melting Pot is Robert Johnston. Question 3: Who founded The Melting Pot? 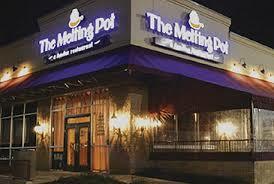 Answer 3: The Melting Pot was founded by Mike, Robert, and Mark Johnston in 1975. Hello. My name is Heather. My fiance, Tyler, and I went to dine in for our anniversary last Saturday (2/16/19) at The Melting Pot Troy location. The meal was okay and our waitress was Arlyn. My fiance and I split the check, gave Arlyn a $2 tip each due for multiple reasons that left us unhappy. When our charge went through I checked my bank account to see she went ahead and gave herself her own tip, a $10 total tip to be exact, which I DID NOT authorize on the receipt. On top of that, she ended up adding her own tip on my fiance’s card as well, $4 total on his, that was not authorized either and she also went and charged him TWICE. I called Monday morning when I saw what she did to us and spoke to a manager named Matt. He told me at first that he saw no record of my card or amount charged and he would call me right back. He did not call me back. I called later on and our waitress Arlyn picked up the phone and transferred me to Matt. I told Matt how unhappy I was again about his staff just going and stealing money illegally from customers, which is against the law. He told me Arlyn wasn’t in the establishment and would talk to her later, which was a lie since she was the one who picked up the phone. He also magically was able to pull up my record of me being there and told me he would refund BOTH of our full meals and it would come within 1-3 days. My refund ended up going through but not only did my fiance’s refund not go through after 3 days but an extra $10 was taken from him to you guys on top of that. So now your establishment is continuing to steal more money from us. We both called back and spoke to a manager named Rachel. She said that my fiance’s full refund would come. Well my fiance did get a refund, but of only $10! He called back and Matt lied once again and claimed he told me on the phone that he would only be giving my fiance $10 when he actually told me he would refund the full amount. What you guys have going on here is illegal and all we want is our FULL refund back that was promised. We spoke to our banks and if the full refund is not in my fiance’s bank account by this morning we were advised to file a merchant dispute/chargeback against your establishment to get our refund back, which is what we plan on doing if it comes to that and there is no full refund today. I had been wanting to try your restaurant for some time since i grew up in Europe and love fondue. I made a reservation for my family for my birthday online. It was for the Arlington, Tx location. It was confirmed by email and we were looking forward to a special time together. I was contacted by phone the day before the dinner to “inform” me that the restaurant was serving a “pre-set” menu priced by couple that day. When I asked why this wasnt communicated when i made the reservation I was told in a very snippy way that they would be happy to cancel my reservation if that wasnt agreeable. I can’t imagine how a business treats customers this way and will never darken the doorstep of this establishment. I called a nice French restaurant in Dallas and upon explaining the short notice they accomodated our party gladly and courteously and saved us from our bad initial experience with Melting Pot. For years my husband and I frequent your restaurant on special occasions throuout the year, probably 8–10 times per year. We were in the night before last for my birthday, and were extremely disappointed and dissatisfied to find that you have once again changed out a menu item for something of lesser quantity. The andouille sausage is both of our favorites, and the taste and quality of the new selection is well below your standard. We are very disappointed. Over the years your standards have been slipping, it’s the small changes, like going away from the herbed bread, the squash, and then the cauliflower, to more standard products like carrots, that is slowly taking away the value of supporting your business. Unfortunately you may have lost a very loyal customer. Want to make sure The Melting Pot sees your comment or complaint?